The new president of Brazil is one of the most controversial political leaders in modern times. Some of his reputation is deserved, but a lot of it isn’t. He is despised by the liberal international elite for his anti-environmentalism, his anti-feminism, his support for Christianity, guns, the military, and Israel. And the attitude you have towards the latter indicates what attitude you have towards the things that make countries rich. 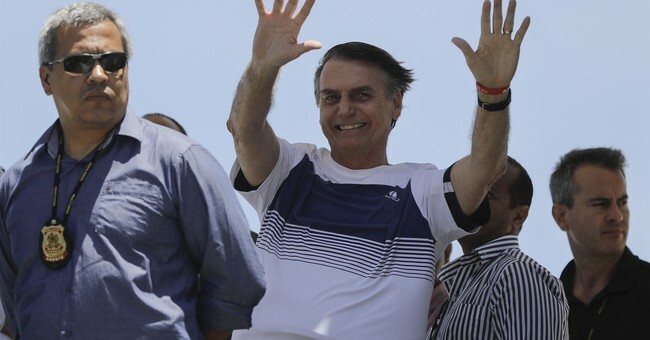 George Gilder calls this the “Israel Test,” and President Bolsonaro appears to have passed it. In a nutshell, the Israel test is this: if you respect people who are hard-working, who are entrepreneurial, who own and operate businesses, you’ll respect Israel. If you hate Israel, it’s likely because you resent successful, hard-working people. The first thing Bolsonaro did after his inauguration was hug Israeli Prime Minister Benjamin Netanyahu. Bolsonaro has made friendship with Israel a cornerstone of his administration. Following the US’ example, he has promised to move the Brazilian embassy in Israel to Jerusalem. Netanyahu’s first visit ever to a South American country was to Brazil, when Bolsonaro was president-elect. They attended synagogue together. Bolsonaro’s enthusiasm for free market capitalism and his affinity for the Jewish state go hand-in-hand. In his first speech as President, Bolsonaro said that Brazil was turning away from socialism and statism. So it’s no wonder that, over the past year, Brazil has been the best performing major economy in the world. The Dow is down -6% this past year; Brazil’s IBOV Index is up 15%. I agree with Netanyahu. If he plays his cards right, Bolsonaro has the potential to restore free market capitalism and traditional values to Brazil after years of progressive socialism.